UPDATED2/4/18 — A bill in the 2019 legislative session would allow the names of fallen firefighters to be included in roadside memorials throughout the state. 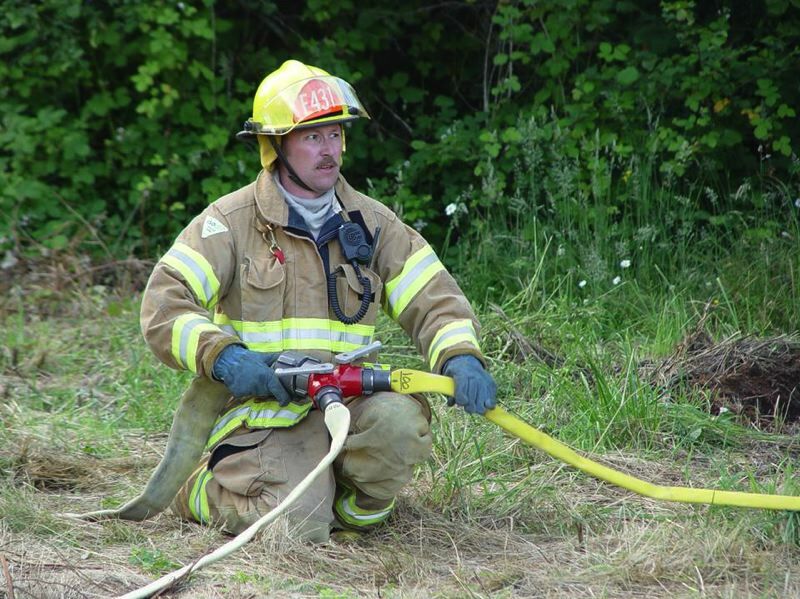 Last August, on the 10th anniversary of Robert Hales' death, the Scappoose Fire District honored him by publishing a memorial article. On Aug. 17, 2008, Hales worked a 12-hour shift as a wildland firefighter, volunteering with the Scappoose Fire District on a day when the county had recorded more than 130 dry lightning strikes. Multiple fires had been reported, including many in Scappoose, the fire district noted. out of the Chapman Fire Station. Roadside memorials are established through an application process. The Legislature must pass a resolution to recognize an individual, and then the Department of Transportation collects a fee to pay for the costs of erecting and maintaining the "Fallen Hero" sign. Police officers and members of the Armed Forces are the only categories that can currently be recognized. Amending the law to allow the inclusion of fallen firefighters is a logical next step, Hudson explained. While the bill goes through the House and Senate, Hudson said she is strongly advocating for families of fallen firefighters to make their voices heard on the topic and to stay involved with public discussions and hearings on the bill. "I really just want to get the word out," Hudson said. "I want the Legislature to see the support for all the fallen fireman. It would be beautiful to see all those people coming in through the doors in uniform, supporting this bill." In September each year, the state hosts an Oregon Fallen Firefighters Memorial Ceremony in Salem to honor the 169 line-of-duty deaths that have been reported in the state. Hudson said that she and her family attend the event annually, which has led to a deep connection with other families who have experienced loss. "We think about him (Robert) every day and just being able to have his children see a sign on the side of the road would be wonderful," Hudson said. "But again it's really about everyone in the state. You meet all these families that are survivors. It's just as devastating for them ... We understand each other. It's really hard." While the bill is still going through the legislative process, Johnson, who is co-chairing the ways and means committee this year, said she thinks people will be supportive of it. "I believe there will be other people that will feel exactly the way I do, that these are public servants —whether it's military, police, firemen — that put themselves in harm's way for others, and we owe them our acknowledgment and respect," Johnson said. The progress of the bill and notifications about public hearings can be found on the Oregon State Legislature's website. The bill had been assigned to the Senate Committee on Veterans and Emergency Preparedness committee for review. A public hearing has been set for 8 a.m. on Wednesday, Fe.b. 27 at the Oregon State Capitol building, 900 Court St NE, Salem, in hearing room "B."